Since mum always love to get bok choy from the supermarket, I decided to try planting some seeds in a big pot and see whether can we grow vegetables in pot. To my surprised after about a week, seedlings start to appear and they are growing good. A clip on harvesting our own bok choy. Got my Okra (ladyfinger) seeds from @smallsmallbaker who planted many at her garden. And out of the 5 seedlings that I have grown only two survive, they are about 15cm tall and both seems to have flower bulbs coming out soon from the above photo. 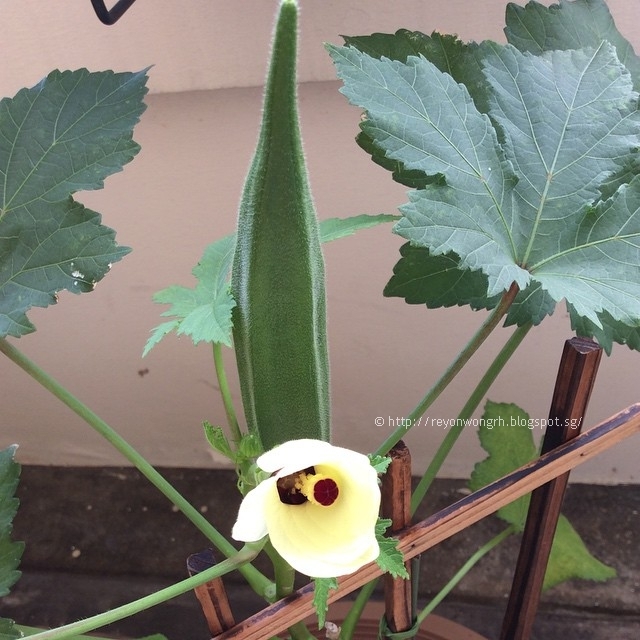 Two weeks later, the bulbs started to bloom and I finally managed to take a photo of my 2nd okra flower because the first one has dropped before I could see it. Love the colour of the flower which is pale yellow and it has a very sweet smell too. 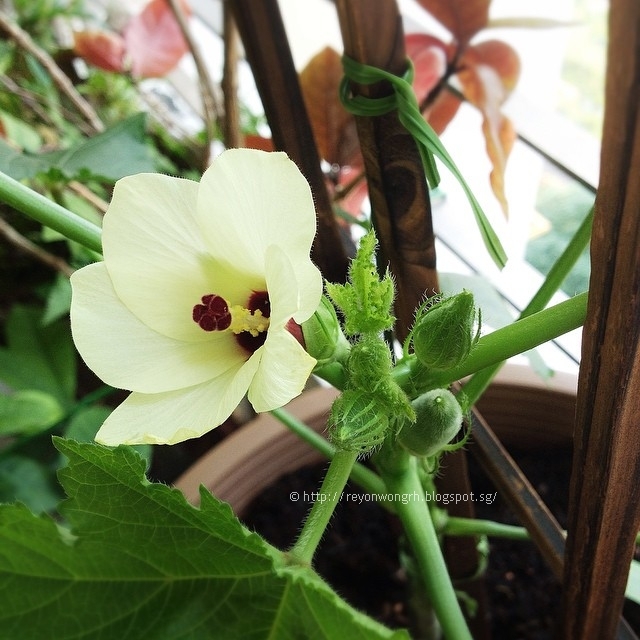 After the flower dropped, fruit will appear after a few days and you will be able excited to see the okra getting bigger and bigger each day. The plant can continue to produce about 6 - 8 okra depend on its size before it stop flowering and wilted. 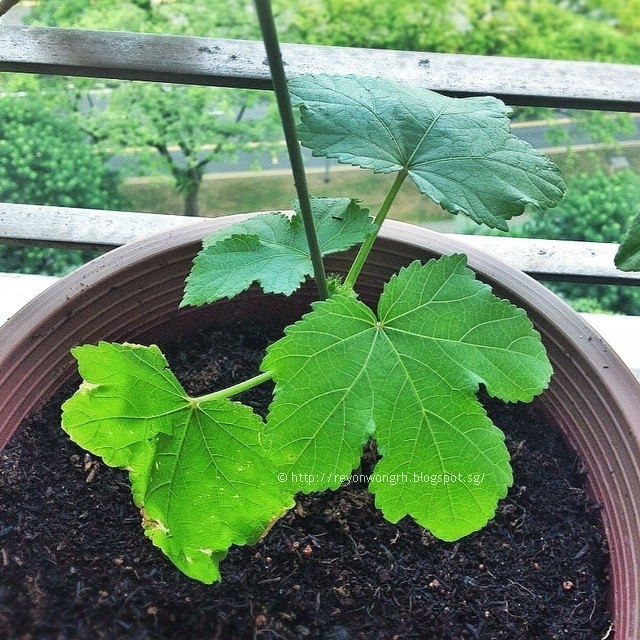 Similar to tomato plant okra also need a lot of morning sun in order to grow well, so do put the pot somewhere that had morning sunlight.